The Spanish El Gordo Loteria Nacional is a world-famous lottery. The fact it takes place during Christmas makes this a very special lottery. 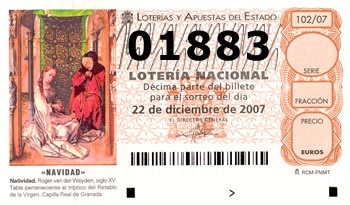 The Lotería Nacional Christmas draw takes place on December 22 every year. This lottery has many names, including ‘Lotería de Navidad’ (Christmas lottery) and ‘Sorteo Extraordinario de Navidad’(special Christmas draw). The Spanish people call it ‘El Gordo’, which means ‘the fat’. This funny nickname was given because of the very high Jackpot of the lottery. El Gordo is special in many ways. It has a very long history to begin with. 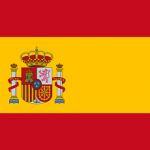 It was organized by the Spanish government for the first time in 1812. Interestingly enough orphans from Madrid had the task to sing and read the numbers during the draw. This tradition still exists today. Anno 2017 the orphans from the Colegio de San Ildefonso in Madrid are very proud to do the singing. It’s really special to see! El Gordo Loteria Nacional is an important tradition in Spain. Most parts of the lottery have stayed the same over the years, including the singing orphans. However, some things have changed as well. For example, nowadays the draw takes place with an automatic system. In the past the lottery used numbers printed on paper. The name ‘Loteriá de Navadid’ wasn’t used at the beginning. It has actually been known as the Christmas draw since 1892. Five years later this name was also printed on the lottery tickets. This special lottery is organized by the Spanish government and run by the ‘S.L Loterías y Apuestas del Estado’. This organization is also responsible for the weekly draws of the National Lottery. They also organize the ‘El Gordo de Verano’ in the first week of July. This nickname means ‘the fat of the summer’ and offers big prize money as well. Last, but not least, a special draw called ‘El Niño’ (the child) takes place on January 6. It refers to the prize pool that is much smaller than that of El Gordo. Millions of Spanish people are looking forward to El Gordo every day. It’s a big spectacle you can’t miss! It attracts many people because they can also play together. Every year entire villages are buying El Gordo lottery tickets together. You can already purchase a ticket in July! At the end of the year the tension in Spain definitely rises. Not only for the locals, but for people abroad as well. The tickets of El Gordo are also available for people abroad. El Gordo is known for the very high cash prizes, which are free from tax. About 70 percent of the entire deposit is prize money. The other part is donated to charity, which is annually about 1 billion euros a year! December 22 is a very exciting day for lottery players in Spain and abroad. At 8 am El Gordo begins officially! When the audience is seated the president and the notary are installed at 8.30. Almost the entire Spanish population is watching the results on this day. It’s broadcasted live by the Spanish television channel TVE. You can also watch the results on the TVE website and on the national radio RNE. The El Gordo draw takes place with an automatic systems in which the balls are guided to sealed tubes. The singing orphans of the Colegio de San Ildefonso then have the task to remove the balls from the tubes. The El Gordo draw uses two balls from two different tubes. Two children are there to make this happen. One of them sings the numbers that are drawn, while the other one announces the prize. Most of the time this is about 1000.000 euros. A ball with a grand prize will be brought to the president and shown to the public. The Christmas draw takes place all day. Not surprisingly if you know the number of balls that are drawn per series. 200 in total! The singing orphans place the balls on two poles. When these are full, the balls will be placed in a box and given to a notary. Then the two children will be replaced by new ones. The winners are announced by a list of names and addresses. They appear 45 minutes after the last draw. Fábricia Nacional de Moneda y Timbre is responsible for making and spreading this important list. Of course they’re very proud of that. The big winners are known at noon. They have national fame immediately, because all of them have to do an interview on the national radio. You can purchase a ticket for El Gordo in several stores in Spain, or online at the website of the National Lottery. For foreigners this website is available in English as well. 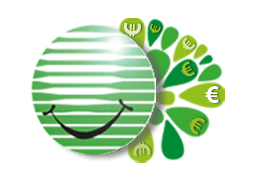 Don’t be scared by the high prize of the lottery ticket, namely 200 euros. Most people divide it into ten parts. The Spanish call this 1/10 ticket the ‘décimo’. It costs a tenth of the price of a whole lot, so it’s much cheaper. You pay 20 euros to participate in this exciting lottery. 20 euros is definitely worth it if you win a big prize! When you buy a ticket online you can decide the final mark or number yourself. Perhaps your favorite number will bring you luck. Some El Gordo players were definitely lucky in the past. In 2011 the total prize money was an astonishing 2.5 billion euros. The winning village Grañén in northern Spain divided 720 million euros between 1800 inhabitants in the same year. These lucky people all had a winning ticket, which meant that they’ve won 400.000 euros each!